Attention to any owners or lessees of Lexus, Acura, Toyota, Honda, Audi, Volvo, Mercedes, BMW, Cadillac, Chevrolet, Buick, and GMC! 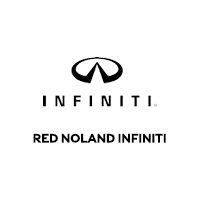 At Red Noland INFINITI in Colorado Springs, we invite you to check out our Winter Conquest Offers. These offers are valid on many of our 2019 INFINITI model inventory and one 2018 model, as well. The qualifying models include 2019 INFINITI Q50, 2019 INFINITI QX50, 2019 INFINITI QX60, 2018 INFINITI QX80, and 2019 INFINITI QX80. The Winter Conquest Offer is for a $2,000 bonus offer on a retail purchase of one of these models or $1,000 bonus offer on leases for those who qualify. So if you’re ready to upgrade to the luxury and performance of a brand new 2019 INFINITI model, now is the time to stop in and make your choice! Let us tell you more about the super variety of finance offers currently available, including Winter Conquest Offers.